Select Design > Paragraph Spacing. Hover the cursor over each option to see a preview, and then select the option you want. 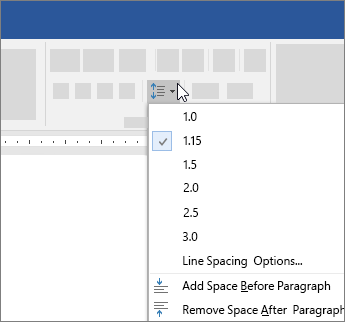 For single spacing, select No Paragraph Space. 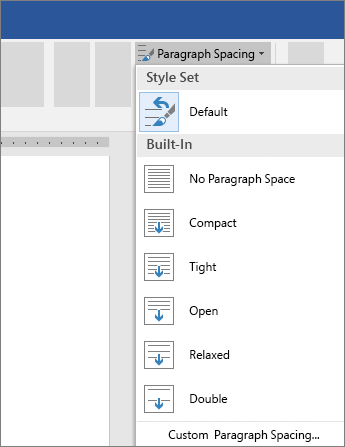 Select Home > Line and Paragraph Spacing, and choose the spacing you want.